MacNaughton: "We've put some pretty constructive alternatives on the table." 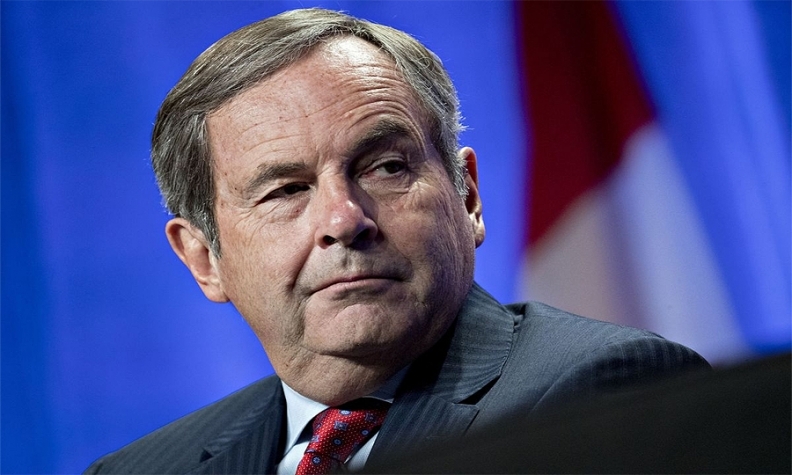 OTTAWA -- Canada’s ambassador to the United States said he thinks reaching a March target to revamp the North American Free Trade Agreement is still possible if negotiators can overcome thorny issues like American demands for tougher auto quotas. Negotiators from Canada, the United States and Mexico have already finished updating several chapters of the 1994 pact and are getting close on several others, MacNaughton said. Canadian and Mexican officials head back to Washington on Dec. 11 for the latest round of talks that may return to key sticking points such as U.S. demands for a five-year sunset clause and higher content rules for automakers. President Donald Trump has threatened to quit the pact without concessions. The ambassador also downplayed the idea Canada would be better off under a new bilateral trade deal with the U.S. that would exclude Mexico. “We still think that NAFTA as a three-way agreement is one that can really work,” he said. Prime Minister Justin Trudeau said this week Canada and the United States could revert to their pre-NAFTA bilateral trade agreement if the current three-nation pact fails, even as he expressed confidence it will survive. Negotiators have scheduled talks through March in an effort to reach a deal before Mexico’s presidential election on July 1. U.S. Trade Representative Robert Lighthizer ended the last round of talks saying Canada and Mexico aren’t “seriously” engaging on some key areas to overhaul NAFTA. He made clear the U.S. won’t accept a deal that doesn’t shift trade flows in the U.S.’s favor. In turn, Mexican Economy Minister Ildefonso Guajardo has also resisted some U.S. proposals, and suggested his country would retaliate against any so-called Buy American procurement policies. Canada hosts the first round of talks of 2018 in Montreal beginning Jan. 23.